Successful container gardens can be much easier than successful landscape plantings, gardens or borders. You don’t have to be a blooming genius to create exciting containers. But just in case you’re feeling a little shy or unimaginative about where to start, here’s a bit of encouragement to get you going. Good potting mix, state-of-the-art fertilizer and a broad assortment of great plants is all you need. In addition to these basic components, there are a few things to think about when you are contemplating a plan. Keep in mind that where and how the pots will be viewed is as much a part of the resulting impact as the plants or colors you choose. Are you positioning pots against a dark background, or are your pots framed on a white porch setting? Is there color from shrubs or planted perennials that surround the pots? Or are the surroundings simply lush and green? 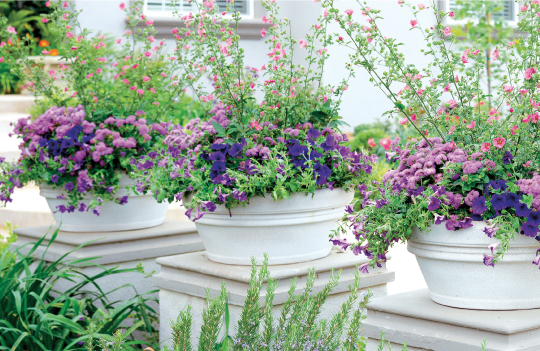 Grouping containers to create varying heights with different sizes, as well as considering the color, texture and style of the pots themselves are all things to consider in creating a more dazzling display. People take time to get used to new ideas, and while the explosion of color in fashion and home trends is at an all-time peak, that concept of the exotic has been slower to take hold in gardening practices. 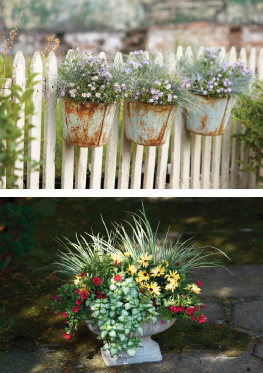 Shocking pink, scarlet and orange may not be your first ideas for planting a bright mix of flowers, but experimenting with color when designing containers can be just as exciting as a hot new orange tunic or pillow. Neutral colors like black, grey, white and brown work with all other colors. White is used effectively because it is the most visible color at a distance and glows at night. Green is also viewed as a neutral color in gardening. The monochromatic concept, or the new “mono pot,” as it is referred to in garden circles, features one color only. It’s a drop-dead, in-your-face, pumped-up-in-all-its-gorgeousness plant that doesn’t want to share the limelight. 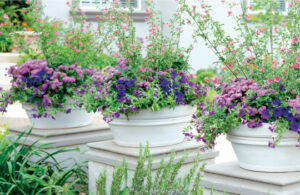 Combining a number of these containers, each with a different plant of the same color, is a show-stopping display. This new trend focuses on the appealing differences in plant form and texture. If you are drawn to one color, the monochromatic approach can be a unique experiment for creating a one-color impact. 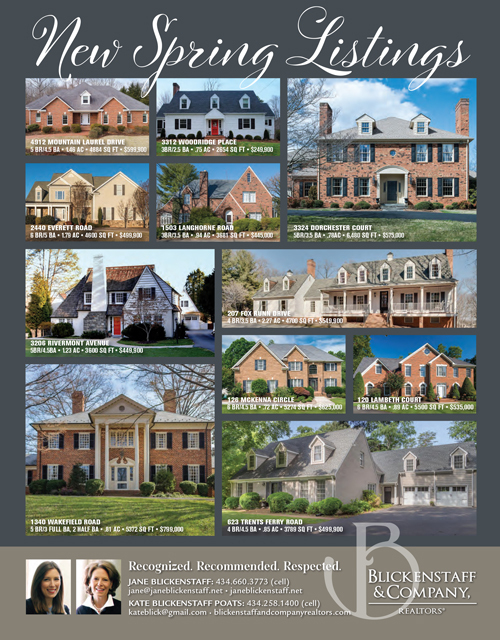 Of course, mixing color is the most popular option. A simple method for perfect plant pairings is to use a color wheel. We learn from the color wheel that analogous colors are those next to each other: red and orange, orange and yellow, yellow and green, green and blue, blue and violet, and violet and red. Combining the same intensity of these colors works best. More contrast is seen with complementary colors that intensify each other and are opposite on the color wheel; violet complements yellow, red complements green, and orange complements blue. This uncomplicated, pick-two plant combo is also guarantee for success. 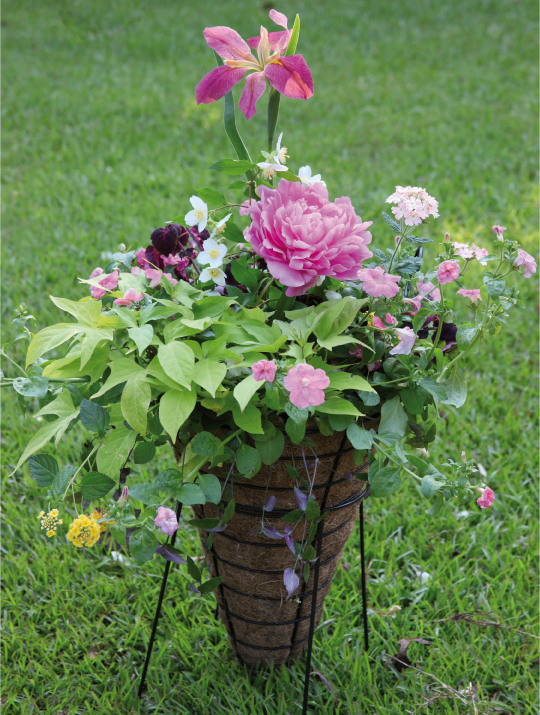 Trios can also be the magical mix when choosing plants. A triadic color scheme uses colors that are evenly spaced on the color wheel. These colors are quite vibrant: think red, yellow and blue; and orange, green and violet. Together, these colors create balance and harmony more so than the contrast of complementary colors. Design-savvy gardeners often speak of “hot” and “cool” colors. The hot ones are the reds, oranges, and brighter yellows that seem to radiate heat; the cool colors are the blues, greens, purples, and soft pinks that have a soothing effect. And remember that plants do not consist of flowers alone. Their foliage reveals a fantastic array of texture, sizes and shapes. And colors, too: silver-grays, chartreuse, blues, burgundy, yellows, black, and of course the many shades of green. Foliage is the linking thread, the difference in a mediocre combo or fantastic mix. Container gardening is ideal for discovering new ways to miniaturize gardens. If you want pots that pop, think beyond the familiar. Half the fun is shopping for plants. Thank you to Kerry Giles, manager of farmbasket, for contributing this article.